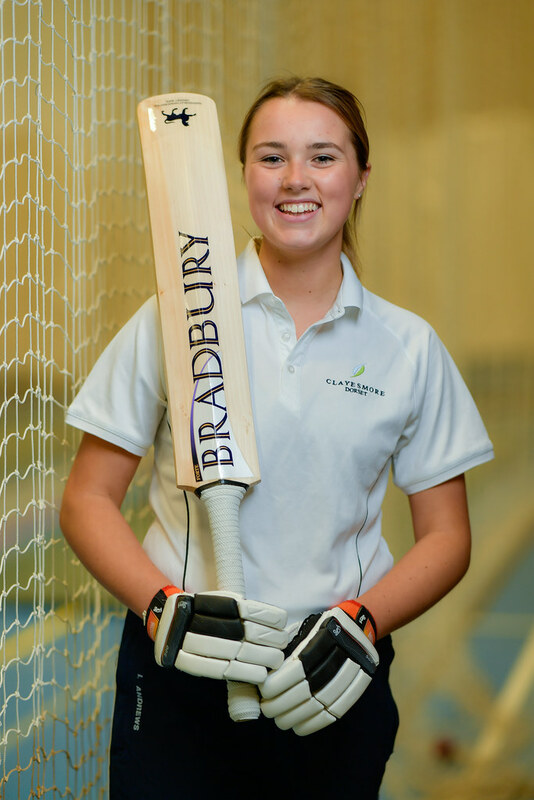 “When I heard that The Cricketer Magazine was coming to Clayesmore I was very happy and realised what an opportunity it is to learn about what the roles are at the magazine and try the top of the range equipment. It was great news to hear that there was a professional cricketer coming as well as they would be able to share what it feels like to play professionally and how they have to train to get to that position. On the day there were about 20 bats all lined up and some of them looked very intriguing. Then I saw all of the camera equipment and realised how professional the set up was. As the day progressed we were all trying the new equipment out and reviewing the performance and looks of it all. Then after lunch we had a masterclass with Peter Trego which was really good as he was telling us how he has to train. We then had a bit of challenge in the nets with a batter vs bowler competition which Peter was the judge of. Each of the bats were given about 20 throw-downs from pupils, who then had to mark them in terms of balance, feel, build quality, and perhaps most importantly, name the celebrity the bat most reminded them of. The masterclass coaching session included fielding drills, before the bowler’s lined up to deliver some quick-fire net practice to round off the day. You can read the guide here.